Bachelor of Business Administration, City University of Seattle/ Athens Campus Greece. 2011. Working for CCC since 2008 and BDF since 2014. Mr. Kattan gained experience in administrative affairs when he worked as an administrative manager in ACA Company for tourism and also through his work with the engineering company. is currently the Group Vice President Treasury, Insurance and Government Relations at CCC (Consolidated Contractors Company). Eng. Al Bandak served in the PA Government as Minister of Tourism, Minister of Local Governments, and Minister of Labor. Civil engineer from the University of Texas, Austin, taught at AUB, then joined Khatib & Alami. Member of the PLO Executive Committee in 1970; head of its Palestinian National Fund. Chairman of Bethlehem Chamber of Commerce & Industry. Former Board of BDF Director. Director of Education/ Bethlehem at the Ministry of Education. Former Board of BDF Director. A Palestinian refugee, member of the Lebanese Lawyers Union, lecturer at the Lebanese University and the American University of Beirut. Jordanian-Palestinian businessman. Founder and chairman of Arab Supply and Trading Company and the Palestine Securities Exchange (PSE). Founder and President of Dar al-Kalima University College of Arts and Culture in Bethlehem. General Director of Palestine Economic Policy Research Institute (MAS); former minister of planning, former minister of finance, former president of Birzeit University. member of the Board of Trustees of the Institute for Palestine Studies. Abdelsalam Al-Majali was twice the Prime Minister of Jordan (May 29, 1993 - January 7, 1995 and March 9, 1997 - August 20, 1998). 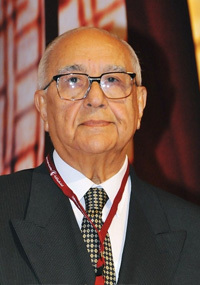 Al-Majali was director of medical services for the Jordanian armed forces, president of University of Jordan (1971–1976), and minister of health (1969–1970 and 1970–1971). Vera Baboun is a Palestinian politician and the first female mayor of Bethlehem. 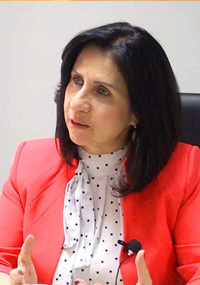 Prior to her election, she became the principal of the Roman Catholic High School in Beit Sahour (2010-2012) and was an English literature lecturer at Bethlehem University, where she was also the Assistant Dean of Students. 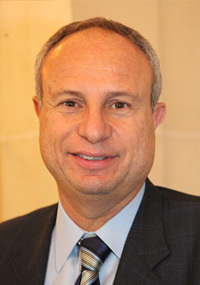 Samer Khoury is President of Engineering & Construction of the Consolidated Contractors Company (www.ccc.me), a multi-billion engineering group and the largest construction company in the Middle East.